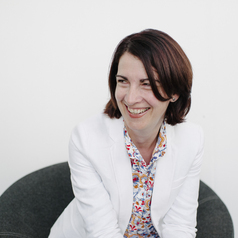 Professor Helen Sullivan is Foundation Director of the Melbourne School of Government (MSoG) and a policy studies researcher and teacher. She has degrees from the UK Universities of Birmingham and York and worked in a number of roles in government before moving to academia. Since 2012 Helen has led the development of MSoG, an interdisciplinary and applied graduate school dealing with contemporary questions of governance and public policy in international relations, development studies and public policy and administration. Helen’s research and teaching explores the changing nature of state-society relationships and includes the theory and practice of changing modes of governance, new forms of democratic participation, and the practice of public policy and service reform. She has published widely in academic and practitioner media and she has acted as advisor to governments and governing institutions at all levels. She is co-author of a number of books including ‘Working Across Boundaries’ (2002), ‘Power, Participation and Political Renewal’ (2007) and ‘Hybrid Governance in European Cities: Neighbourhood, Migration and Democracy’ (2013). Helen’s work reflects a long term commitment to finding new ways to bridge the gap between research and policy and this is reflected in MSoG’s approach to research, teaching and engagement.